Welcome to this prerecorded presentation about the State’s model individualized education program (IEP). This presentation is one of three presentations about the IEP. Module 1 addressed the introduction to the State’s model IEP form and the initial components of the IEP. Module 2 addressed measurable post-secondary and annual goals and short-term instructional objectives and/or benchmarks, reporting progress to parents and special education program and service recommendations. 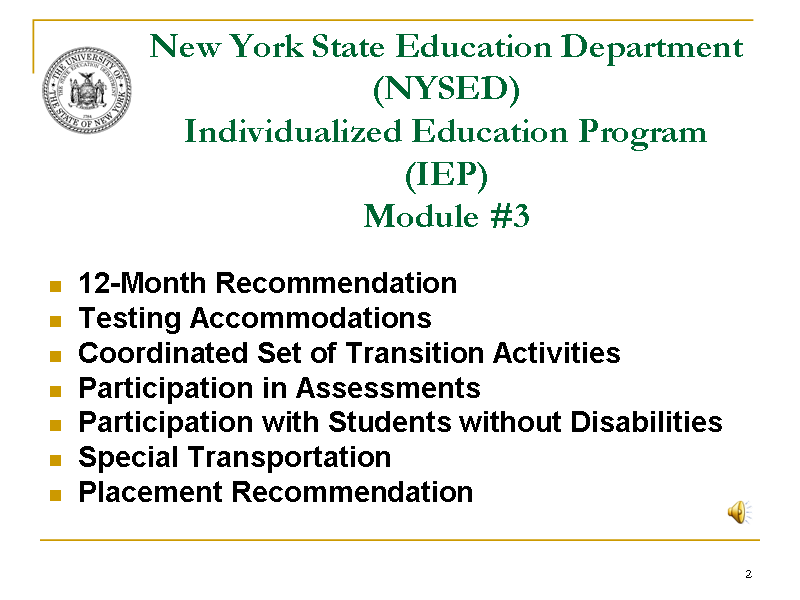 Module 3 will address additional recommendations that are included in the IEP. It is suggested that the three modules be viewed in order.